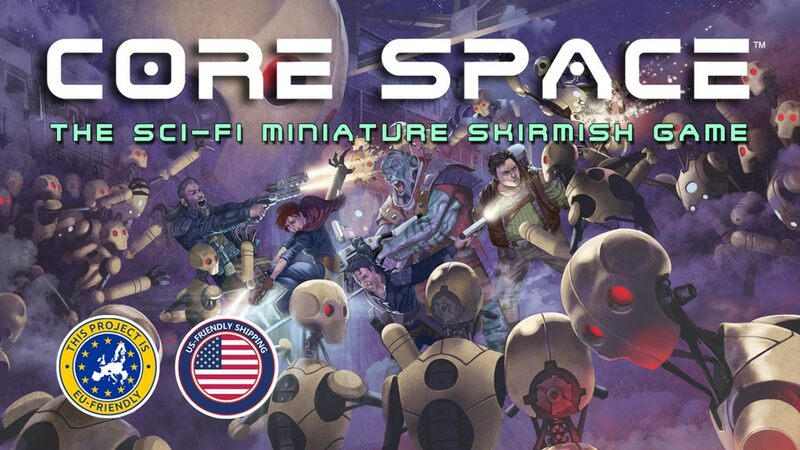 Battle Systems has started taking pre-orders for their Core Space sci-fi miniatures board game. They had a successful Kickstarter and now's your chance if you missed out to still get your name on the list for these figures before they go on general sale. There's a ton to choose from and a little bit of everything. Even if you might not want the game, there's a bunch of different terrain sets you can pick up. You might know Battle Systems for all that awesome terrain that they make. Well, if you've been wanting a specific game to go with said terrain, your wish has been granted. They are running a Kickstarter campaign for Core Space, a new sci-fi miniatures campaign game. Grab your crew and head out into the black. Back in the office again today. Saturday was a heck of a good time running that D&D game. Nobody died, thankfully. We had some really good character interaction. It seems everyone's personality will mesh together well. So it's looking like a good gaming group is being made. But that's as may be. What we've got right now is making your gaming tables look as good as possible. Today in the Terrain Corner we have: Ice Desert: Pwork Wargames Sci-Fi Mat Now Available, Frontier Tower Add-On First Look For Adventure Tiles on Kickstarter, Heroic Maps - Giant Maps: New Havenwater Now Available, Battle Systems Sci-Fi Terrain On Kickstarter, and Darkburg: Pwork Wargames Fantasy Gaming Mat Now Available. It's Monday again, dear TGN readers. For some of you, it's Labor Day (or Labour Day for you Canadians). So this is generally considered a "better Monday than most." I, of course, am here in the office, searching for gaming news to share with you (and you damn-well better appreciate it! *shakes fist* :P ). 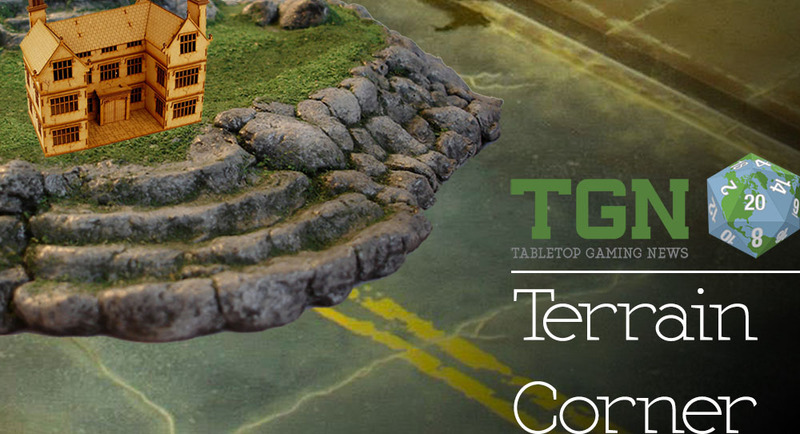 Anyway, seeing as it is Monday, that means it's time for a Terrain Corner feature. 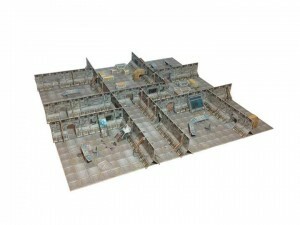 In today's installment we have: Welcome September and new Releases From Escenografia Epsilon, Brigade Models Release More 6mm SF Desert Buildings, First teaser video of Post Apocalypse Terrain From Battle Systems, New Pwork Wargames Battleboard release: Industrial Ruins, New Heroic Maps release East Lynthorpe Farm - Summer & Winter, and SciFi Holo Torii and Noodle street shop available at Terrakami Games. Battle Systems is in their final 2 days on Kickstarter and they're going out with a bang. They're showing off their new Fortress terrain. 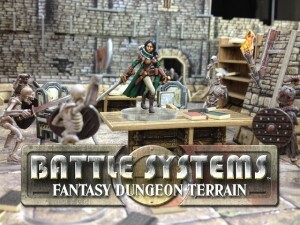 Battle Systems keeps making their way through stretch goals over on their Fantasy Dungeon Terrain Kickstarter campaign. 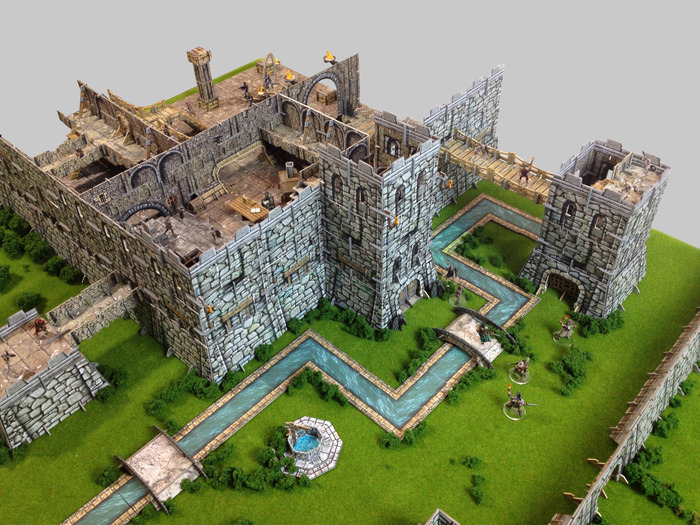 Battle Systems unlocked a new add-on over in their Fantasy Dungeon Terrain Kickstarter. Yes, at 666 backers we unlocked the Dimension Gate, a vortex of flexibility that allows you not only to travel from one area to another in your Dungeons, but also adds the movable Idols that can be hidden around in various rooms. Finding these and placing them on Dimension Stone Stacks activates the gate. 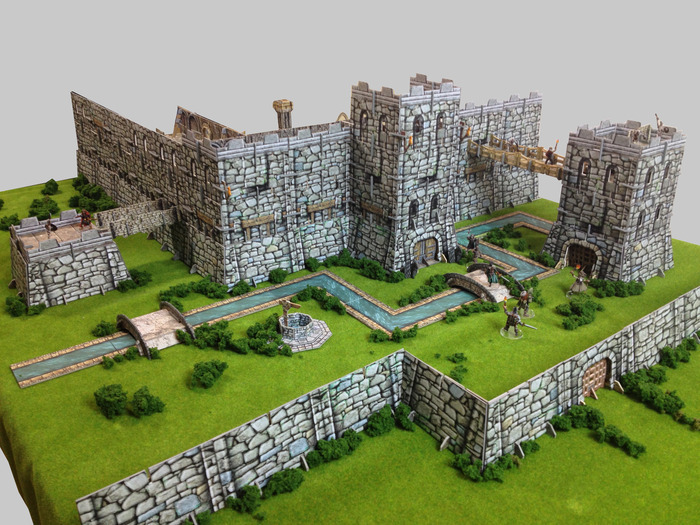 Battle Systems is on quite a rise over on Kickstarter for their Fantasy Dungeons terrain. They've just unlocked the Mines of Minerva expansion. The Mines of Minerva are available to add to your pledge right now. We have made two add-ons for this and you can choose whichever suits you best. This set gives you all the Mine components as per the Stretch Goal image. 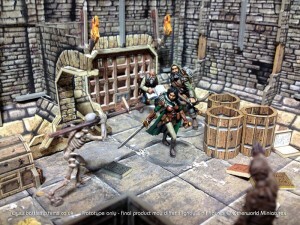 A great add-on that adds a whole new themed area to your terrain and really brings new flexibility to scenarios. 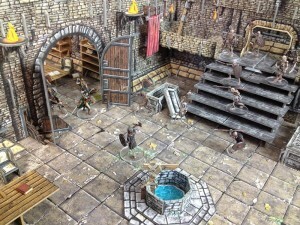 Battle Systems has launched their Fantasy Dungeon Terrain Kickstarter campaign. They're already 3x funded and then some, so check out the stretch goals and other extras. 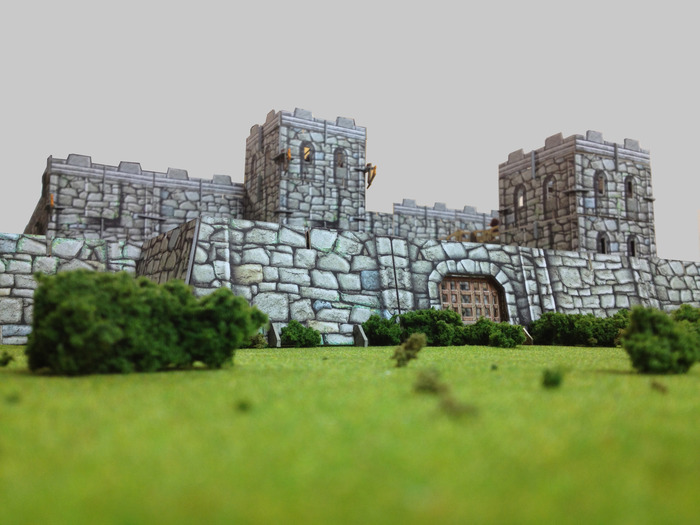 Hello, we are Battle Systems and we make terrain for 28mm tabletop wargames. Last year we launched our Sci-fi Modular Terrain right here on Kickstarter. It was very popular and has now been delivered to most of our backers. 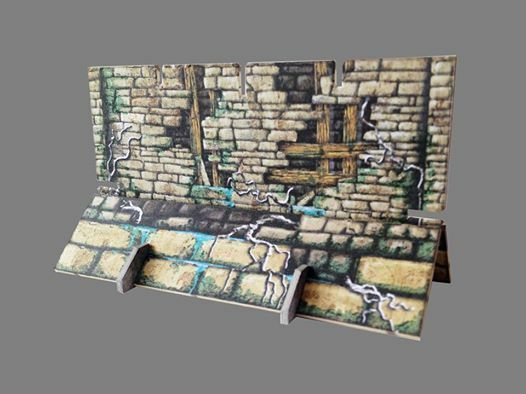 Due to many requests we've now designed a line of fantasy terrain based on our modular design which is easy to assemble with no painting required. Over the last few months we have been teasing our followers on Facebook and our blog with sneak peeks of our prototypes and the response has been overwhelmingly positive. Our terrain is ideal for many game systems including Mordhiem, Wrath of Kings, Dungeon Saga, Super Dungeon Explore, Fanticide, Dark Age, Malifaux, Dungeon Quest and D&D amongst many others. 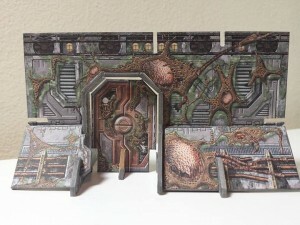 It's also ideal for sci-fi systems where you might encounter labyrinths and dungeon environments, and is completely compatible with our current sci-fi range. 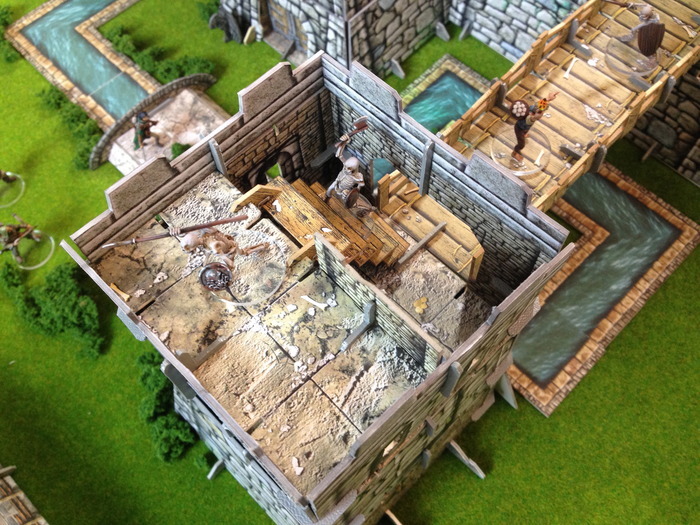 Battle Systems had their new Fantasy terrain for preview over at the UK Gamesday Expo. Here's how it looked. What a first busy day at the show. Our voices are broke as usual, but we met loads of you good folks, backers and new, and generally had some proper gaming chat. Here are some quick snaps of the set ups for those that could not make it (near and far). 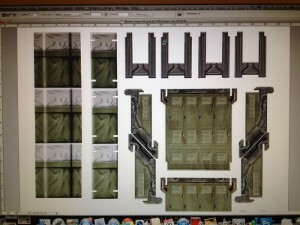 Battle Systems is showing off a preview shot of the Infested Walls terrain piece they've been working on. We are showing a sneak peak of the Infested Walls Add-On from our resent KickStarter. Anyone who missed this can contact us as we have a small opportunity to include you as part of our post backer kit. These walls will have varying degrees of infestation and integrate fully with the standard walls from the Stronghold or Hulk sets. Battle Systems gives us a look at the "whites" that they're working on for their terrain system the successfully funded through Kickstarter. Well we have been busy. Those of you who are backers will already know this with the KS automatic updates. However just a quick post to show you a sneak peak of the white copies we have had made. These are the test tools (even thought we had already had test tools made) and they will make sure that everything fits together nicely before we go for the full manufacturing run. We will post a full report on these over the next few weeks. 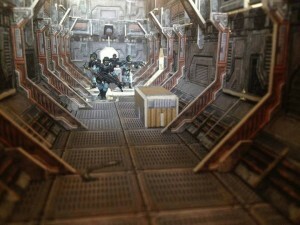 Battle Systems has just a day left over on Kickstarter for their modular sci-fi terrain system. They've made it through a bunch of stretch goals, and probably will make it through some more before it's over. So go check it out. 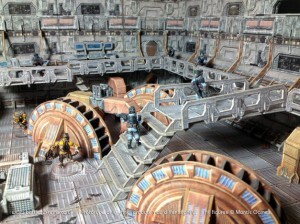 The Battle Systems Sci-fi Modular Terrain KS is in it's final hours, and they just recently unlocked the uber cool Hanger Bay add on. Even with just over a day left they still another 7 stretch goals planned. Now is the time to jump in if you want some of this amazing terrain. 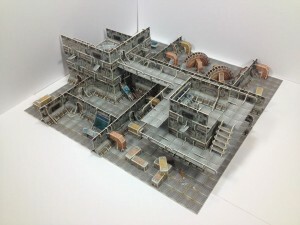 Battle Systems has a week left for their Sci-Fi modular terrain system. Check out the photos of them teamed up with the fellas from Alien Vs. Predator. Hey guys a very small update just to get you some pics. Been here now in Leamington-Spa for a couple of hours and played a few games on our Hulk style single level layout. Here are a few pics of the fun and I can confirm that the two systems work very well together, already using those crates for cover and kicking over the those bunks. 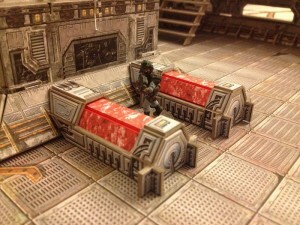 Battle Systems is showing off the screecaps of some new terrain pieces they're working on for their Sci-Fi Modular Terrain Kickstarter project. With 10 more days to go, Battle Systems has unlocked two new toolings and has just posted a preview of the next three with only £9k left to unlock the next one. Battle Systems has been blasting through stretch goals since the launch of their Sci-Fi terrain system Kickstarter. They've posted up some more that will surely be broken sometime soon. We are working on the basis of height for the first two goals. To gain height you need a few basic components, converters, second level clips, gantries and railing. 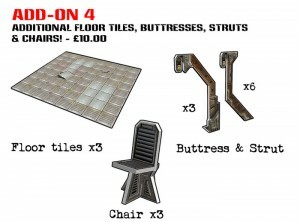 these will compliment the two floor tiles we gave in Stretch goal 6. First up Stretch goal TEN & ELEVEN - 3 pairs of Converters and Clips, 2 Standard Gantries, 5 Spot Lights. The converters enable you to build sheer wall faces and consist of 12 pieces including all the clips. The standard Gantries are the staple of your walkways and are also the most flexible for creating shapes, (you can never have enough of these), finally are the lights, they add the details and the 3D element that really create the look of the set and bring it all to life, just like the Struts and Buttresses do for the walls. Battle Systems has made it more than 2x funded already for their Sci-Fi Modular Terrain Kickstarter campaign. They've gone through some stretch goals and added some add-ons. Go check it out. Grab them while they're hot... well actually they are not going anywhere. You were asking for them, so we have brought them forward ahead of schedule. You have two options. 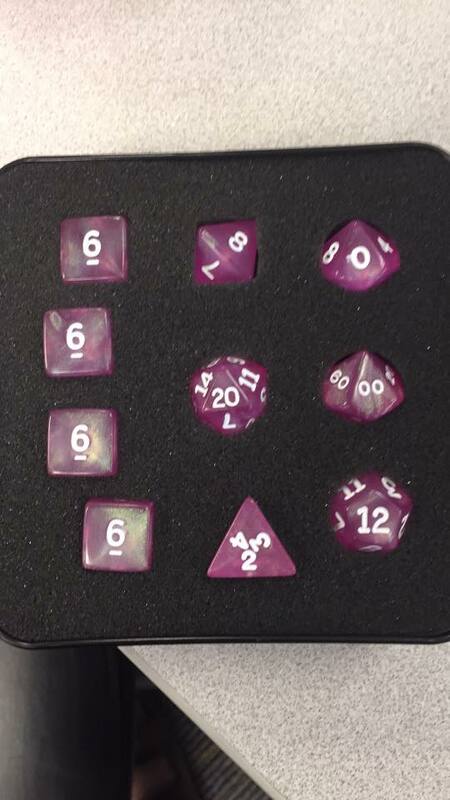 A small set that will just expand your floor and a full set that will open the board a lot. Now you are still going to need to fill it with Walls and stuff to pack them out, but these are all in the main sets. Also we will open up more add ons as we go and even upgrade some along the way. See next Stretch goal 5 for upgrade ;o) it's just arrived while you were reading this. 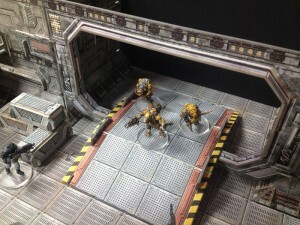 Battle Systems has launched their new Sci-Fi Modular Terrain System Kickstarter campaign. They're shooting up in funding quick. This should be one to watch. We currently design and sell a downloadable sci-fi range which the customer constructs themselves. 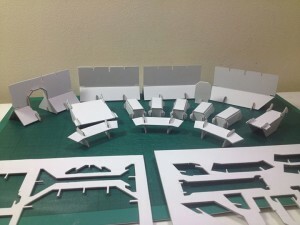 Although it is popular with hobbyists we have decided to make something easier for gamers who don't have time to build our sets from scratch. Battle Systems is showing off some preview shots of the terrain they'll be looking to fund with their upcoming Kickstarter campaign. Ok, it's update time. Then it might go calm again (just before the storm ;o). So we have finished the KS Video final edit and the KS page is having it's final adjustments made too. We will be giving a few of you access to it just prior to launch for feedback to make sure we are communicating ourselves correctly. 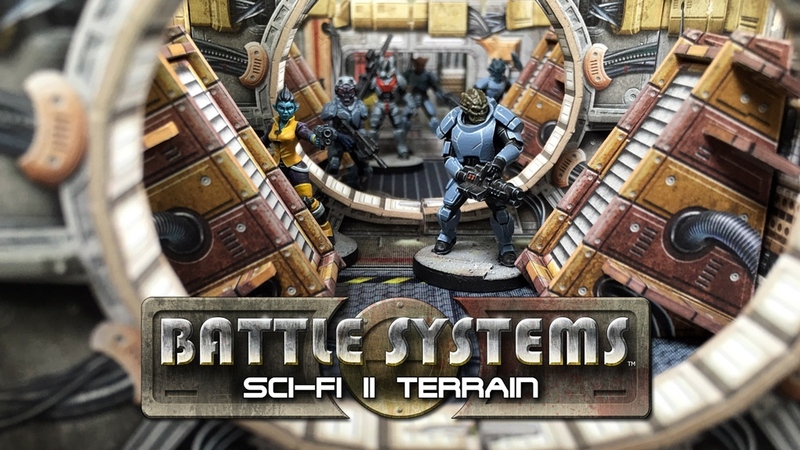 Battle Systems will be launching their sci-fi terrain Kickstarter soon. 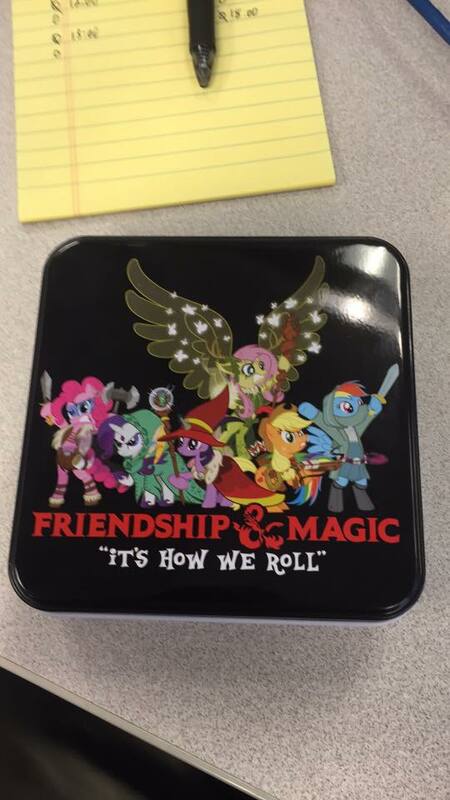 They've got some preview photos up so you know what you can be expecting. Those of you who follow our Facebook page will have already seen that we’ve finally pinned down a manufacturer for our new line :) The quality is right, the price is right. Currently we’re negotiating on our acrylic clips and everything is looking great, it’s actually happening! We’re very excited here in the Battle Systems potting shed... err... offices. Anyway, here’s some jolly nice pics to remind you what it’s all about. Battle Systems has been showing us shots from down inside their new terrain boards, now here's a far-away and visionary photo of the set. Finally we are showing you the bigger picture of what you could build with our upcoming boxed terrain. Check out the reveal on our Facebook page and then follow the links to our blog to see how it can be built from a single level set up to a 3 level complex. Let us know what you think and keep telling us what you want to see as we are also working on expansions for later releases.